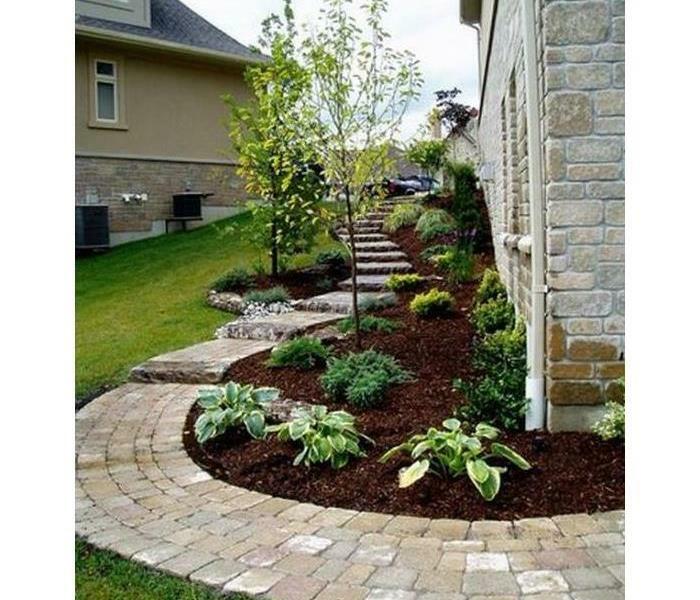 As homeowners we understand the importance and added value of landscaping. Curb appeal is the first impression people get of our homes, and springtime is the most popular time to spruce up our landscaping. While landscaping can make your house look pretty, if it’s not done properly it can also cause flooding to your home. Here are some tips on what you can do to your landscaping to help prevent flooding. Grade your yard in the proper direction. You don’t want to direct water to drain towards your home, or to have standing water around the base of your home. Install a dry creek bed in your landscaping or yard to help direct water away from your home. Leave a gap between mulching and the siding on your home. Mulch is porous and can absorb moisture. If you create a gap between the mulch and the siding of your home you can prevent the formation of mold and rotting. Direct your downspouts. Your downspouts should be directing water away from your home. If the downspout is too short or directing water towards a low spot in your yard it can cause pooling around your foundation which can lead to flooding. The next time it rains, take a walk around your home and make sure that the water is draining properly and that you don’t have water pooling anywhere around your foundation. If you are still experiencing flooding then give SERVPRO of Campbell County a call. We will quickly get our experts out to your home, and help get it back to its original condition. If you have experienced water, fire, or mold damage give SERVPRO of Campbell County a call at (859) 572-4920. We are here to help care for you and for your home or business, and to help make the restoration process a little less stressful. Have you noticed green moldy growth spreading across your roof, patio, or even the side of your house? While we mostly think of mold growing in a dark, damp basement, it can also grow outside of your home. Once mold settles in it can grow on nearly anything and can spread very quickly, so prevention is the key. Moisture and excessive humidity create the perfect environment for mold growth. Whether you have brick, stucco, or even low-maintenance vinyl check for water spots, especially near gutter downspouts. Moisture pooling can be caused by clogged gutters and drains so be sure to check them regularly and make sure they are clean. Clogged gutters can cause water to run down the side of your home increasing moisture and the chance for mold growth. Dark areas are also ideal for mold growth. Trimming your trees and shrubs on a regular basis can help prevent shady areas around your home. Also keeping your trees and landscaping from touching your home will also help eliminate any dark spots and reduce mold growth. If you find mold growing around your home, identifying and cutting off the moisture supply is the best way to stop it from spreading. For any serious mold issues, SERVPRO of Campbell County is always available to help. Call us anytime. The weather in Northern Kentucky has been a little crazy the past couple of weeks! We have gone from below freezing temperatures and snow to almost spring like weather. Now we have the threat of lots of rain moving in over the next couple of days, and with that comes the chance of flooding. It can be a little confusing with all the different advisories and warnings that are issued, so here is a quick look at what they all mean. Flood Advisory: A Flood Advisory is issued when flooding is not expected to be a problem, but it can be an inconvenience. Ponding of water on streets, low-lying areas, highways, underpasses, and elevated water levels in creeks and small streams are all possibilities during a Flood Advisory. 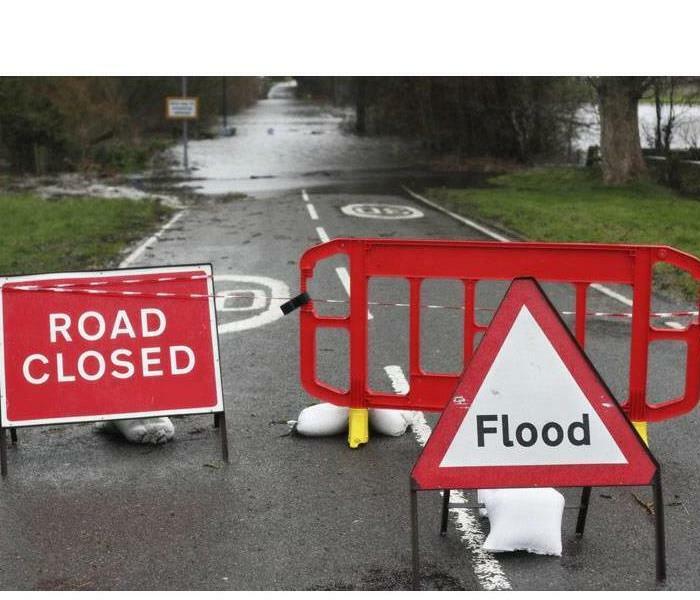 Flash Flood Warning: A Flood Warning occurs when flooding is imminent or occurring. It usually results in small creeks and streams quickly rising from their banks. If you live close to one of these creeks or streams, or in a low-lying flood prone area these dangerous flood waters can develop quickly and can be a significant threat to your property. Be ready to take action if a Flood Warning is issued in your area. SERVPRO of Campbell County is available 24/7 and specializes in cleanup and restoration of your property after a water damage event. Give us a call and let us help you (859) 572-4920. We have more crazy weather heading into the Northern Kentucky/Cincinnati area in the next couple of days. It could be lots of rain, lots of ice, or lots of snow, which are all elements that could lead to flooding. If your home or business experiences water damage it is important to get it cleaned up immediately to help prevent extensive damage, and to also help prevent the growth of mold. Here are some tips to help prevent your home or business from mold growth after flooding or water damage. Wear protective eye wear, nonporous gloves, and a face mask when cleaning up after a flood to help protect yourself. It is best to open up windows and doors to help increase airflow in your home and improve ventilation. Get rid of any soaked porous or absorbant material that you can, such as ceiling tiles, furniture, dry wall, and carpeting. Clean the wet surfaces with detergent and water and use fans to help circulate air and help speed up the drying process. Following these steps will help prevent mold growth in your home or business. Even if you don’t suspect mold growth, it is always a good idea to call in the professionals to do an inspection. You can rely on the trained professionals at SERVPRO of Campbell County to inspect and take care of any suspected mold problem. What do you think about when you hear the word “mold”? Does it make you cringe? Mold has a lot or misconceptions that can leave homeowners confused and misinformed, but mold in your home can be costly to both your home and your health. If mold isn’t treated properly, it can quickly grow into a major problem. Here are some common myths about mold to help keep you and your family safe. Bleach kills mold. Bleach and other retail products usually just discolor the mold and are aren’t recommended for use on porous surfaces. Using bleach or other retail products on wood, carpet, and drywall don’t usually reach the root of the mold, therefore causing the mold to return. Removing the mold from the area is the only way to make sure the mold is gone and will not return. Mold is only found in homes with water damage. It is true that mold forms in areas where there is water where it shouldn’t be, like flooding or a leak, but unfortunately all homes could end up with mold. Molds and mildews are present both indoors and outdoors, and mold spores can begin to grow within 24-48 hrs after landing on a surface that contains moisture. Dead mold can’t cause health issues. Even if you can kill the mold there are still allergens that can live in mold that are still active. Mold can also go dormant but then regrow when the environmental conditions are right. To protect your home and your family, it is best to remove the affected area and to remove the items that contain mold. Our technicians at SERVPRO of Campbell County are properly trained to handle mold allergens without further contaminating your home. Mold remediation is something you can easily handle yourself. Mold remediation can be handled for small areas fairly easily. But when the problem becomes pervasive, call SERVPRO of Campbell County (859) 572-4920. The holidays are over, all the decorations have been put away, and life is getting back to normal. We all have very busy schedules, so giving your house a good deep cleaning after all the hustle and bustle of the holidays may be something you don’t have time for right now. Let SERVPRO of Campbell County give your home a clean start to the new year. Our cleaning and restoration professionals have the equipment and expertise to give your home a deeper clean than your typical cleaning service. We all have dust, and it can be everywhere! Our carpet and upholstery cleaning service will not only get out the dirt you see, but will also remove the unwanted dust you don’t. Professionally cleaned carpet and furniture will help give your home the facelift it needs as we head into spring. How many times have you had your air ducts cleaned? We all have tasks around the house that don’t make it to the top of our priority list, but properly maintaining your home’s air ducts should not be one of them. Regular duct cleaning can increase your home’s heating and cooling efficiency, and improve the quality of the air you and your family breathe. Your basic cleaning service is not going to have the expertise to get rid of unwanted odors in your home. Our technicians have access to several odor eliminating products that can help knock out those unpleasant odors. When your to-do list becomes too overwhelming, let SERVPRO of Campbell County take away the stress of maintaining a clean and healthy environment for your family. Call today to schedule an appointment at (859) 572-4920. Did you know that SERVPRO of Campbell County provides services like commercial cleaning and duct cleaning? Many businesses do a great job of daily cleaning, but the everyday wear and tear will eventually build up. When that happens, give SERVPRO a call. We do a great job at removing odors,deep cleaning of carpets and floors, and much more. Every member of our crew is trained specifically to be able to handle a commercial cleaning job of any size. 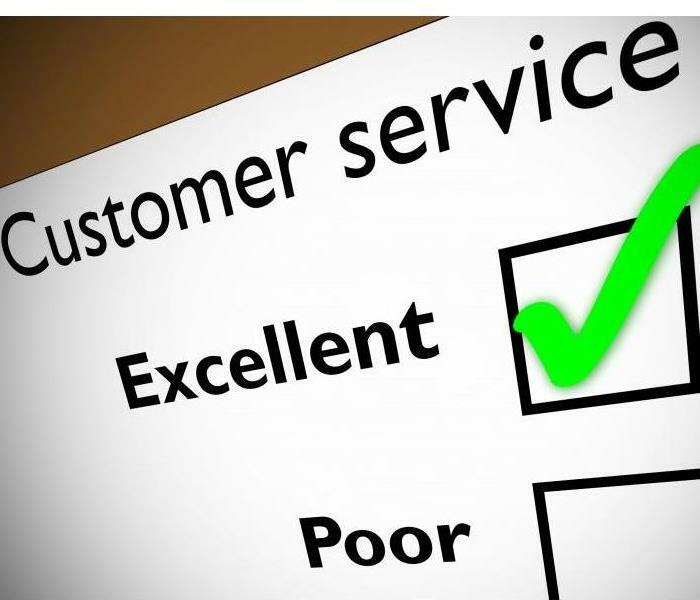 SERVPRO of Campbell County will respond promptly and get the job done right. Give us a call at (859) 572-4920 to get your business looking its best. Flooding and water damage can be very invasive, and can quickly spread throughout your home and get absorbed into floors, walls, furniture, and more. A quick response will help to minimize the damage to your home, as well as reducing the cleaning and restoration costs. Here is a quick look to show you just how damaging water can be to your home. SERVPRO of Campbell County is available 24 hours a day for water emergencies, large or small. When you are dealing with water damage, immediate action is crucial. A delay of just a few hours can greatly increase the severity of the water damage. Create an emergency kit for your car. 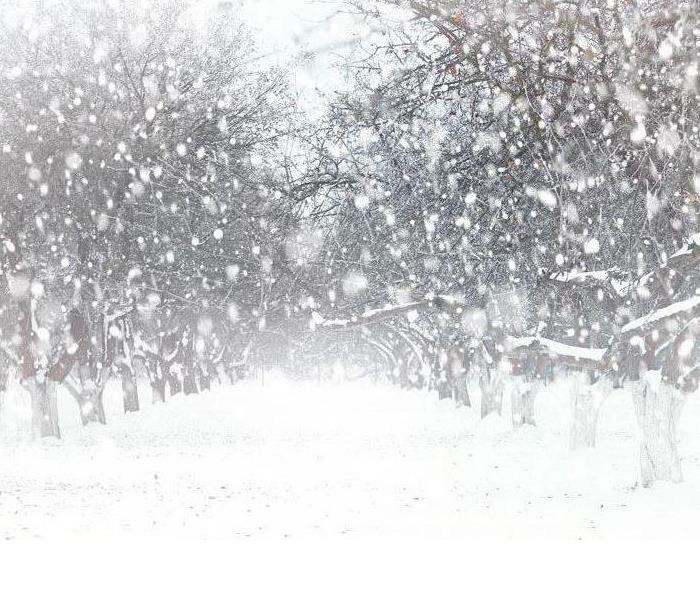 It is best to stay at home during a winter storm but if you have to be out in the weather, it is best to be prepared. Extra clothes, blankets, a flashlight, jumper cables, bottled water and snacks are all good things to include in your emergency kit. A full tank of gas is also a good idea. Test your smoke alarms and carbon monoxide detectors to make sure they are working properly, and have extra batteries on hand for backup. Make sure you have enough supplies on hand to last a couple of days. Along with the milk and bread, make sure you have food for you pets, any medications that might be needed, batteries, flashlights, and radios.